Most UX designers will tell you that there’s no prescribed path to becoming a UX designer. I’ve met UX designers who seem to have made fairly reasonable transitions from being graphic designers or web developers. I’ve also met UX designers who were in entirely different professions. Some were chefs, some did administration, some were flight attendants. I was an architectural designer. I went to architecture school and graduated with a Master’s in Architecture, after which I practiced architecture professionally for a few years. Successful architecture is essentially about user experience. Everything from the building contributing to the vitality of its context, to solving a certain urban issue (like connectivity), down to how high a shower curb is to prevent water from leaking to its adjacent space. Architecture school trained me to think for the user, so becoming a UX designer felt like a natural transition in my career. Beyond that, here are some practical tips for anyone who’s thinking of getting into UX design professionally. We tend to hesitate to make a career transition, thinking we’ll throw away all the work we’ve put into building our current career. Spending a couple of years doing a job doesn’t mean you should do it forever. 10 years of investment need not lead to 70 years of feeling unfulfilled. If anything, your previous skillset can be brought into a whole new career—you’ll have so much more to bring to the table. Start forming relationships with other UX folks. Follow people on Twitter, join UX groups on Facebook, and start engaging in their conversations. 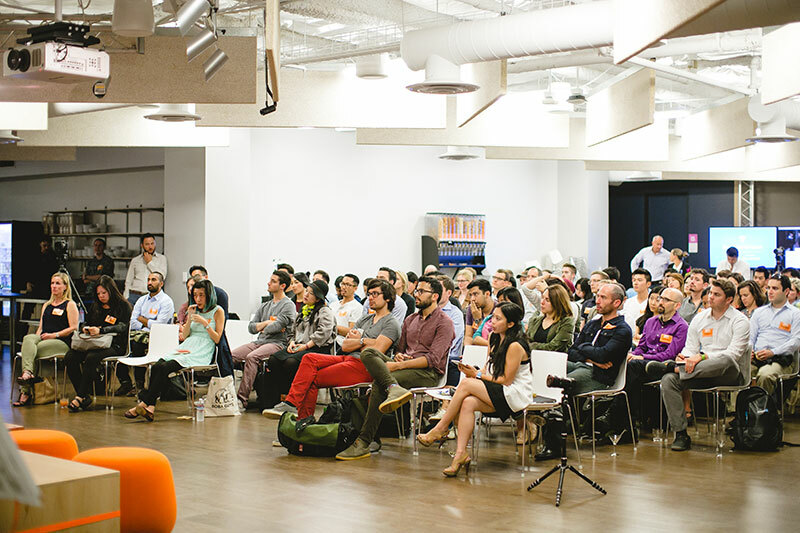 The crowd at InVision’s Design + Venture event earlier this year. People in the tech community are generally warm and welcoming, so don’t be afraid to ask for advice or give your opinion. Who knows—they might learn something from you. There are endless possibilities when you choose to participate. Mentoring is rewarding. It allows me to practice my communication skills and verbalize my design thoughts. Plus, I learn from the questions I’m asked. Try to reach out to experienced UX designers and learn from them. A lot of them will be willing to answer your questions, be it through an email, over coffee, or during one of the speed mentoring sessions CascadeSF organizes at UXNight. Whatever it is, be curious and excited. They’re getting something out of it, too. Attend events. Tech events are typically a melting pot of people working in different areas in tech. UX designers help align an organization’s product vision. I often have to pull aside the marketing team or the engineering team to gather input and conduct sketchboard sessions. Your interaction with people should not be limited to designers. Talk to anyone and everyone you can, and be open to different perspectives and opinions. Don’t limit yourself to just talking to people who work in your industry. One of my biggest design super powers comes from how much I’ve traveled—it’s allowed me to make connections with individuals from all walks of life. There’s nothing like the experience of being completely misunderstood in a foreign country to help you understand just how different every person on this planet really is. It’s okay, too, to let people know that you’re looking to get into UX. You never know who might be able to lend you a hand in getting your first UX gig. I got my biggest career breakthrough after meeting someone in an UberPool ride. When you work in an industry that’s constantly evolving and revolutionizing, you have to keep up with the trends. 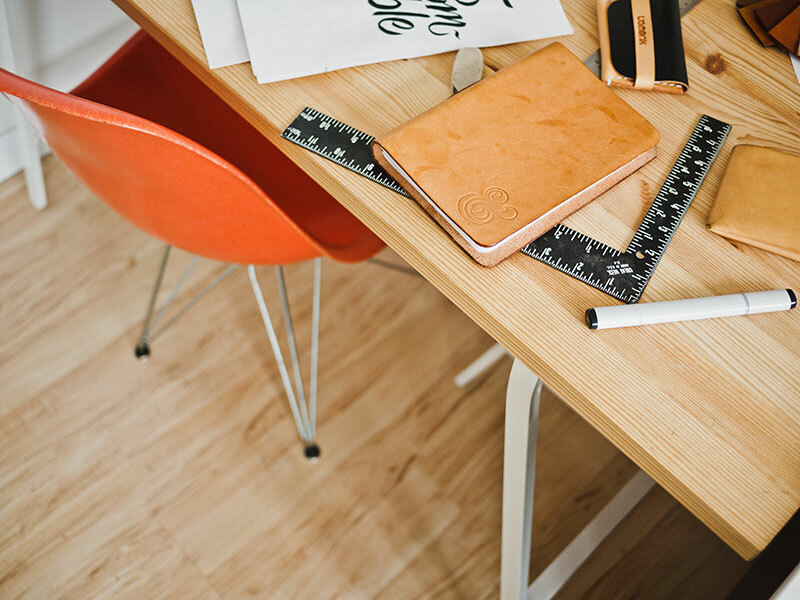 If you’re getting into UX from another field, chances are you need to get familiar with UX. One of the best ways to do that: read. Unless you’re one of the very lucky few, chances are you won’t get your big break with your first application. You may not even get it until your 596th application, but don’t let that deter you. Every step of the way, you’re adding some kind of value to your career—and to your personal growth. Did you have a completely different career before you got into UX? Tell us about it: @InVisionApp. Ling Lim graduated with a Master's in Architecture and practiced as an architectural designer in Singapore. She is now Head of User Experience at myWebRoom. She actively mentors junior designers in the Bay Area and also contributes articles regularly to web design publications like Web Designer Depot and UX Booth. When Ling isn't solving design problems, she enjoys powerlifting and having new experiences.